Emily Suvada is the award-winning author of the Mortal Coil trilogy, a science fiction thriller series for young adults. The first book, This Mortal Coil, won the Oregon Spirit Book Award, and was shortlisted for an Aurealis Award, the Waterstones Children’s Book Prize, and the Readings Young Adult Book Prize. 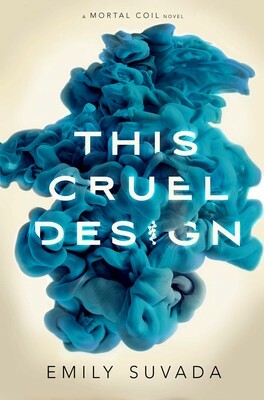 Suvada's latest book is This Cruel Design, the sequel to This Mortal Coil. I'm currently drafting the third book in the Mortal Coil trilogy, which means I can't read anything that's written in a similar tone. Some of my favorite genres to read are technothrillers and science fiction, but they tend to bleed into my own voice while drafting, so they're out. Instead, I turn to another of my great loves, fantasy - and right now I'm reading one of the genre's most beautiful and imaginative writers, Laini Taylor. 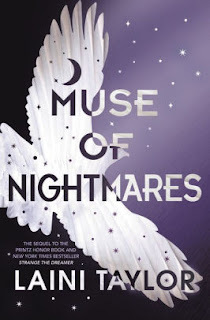 I'm reading Muse of Nightmares, which is the second book in her Strange the Dreamer duology, and it's absolutely gorgeous. Laini's writing is the kind of perfect, smooth, captivating prose I could read all day, but it's equally enjoyable to devour in small morsels of a few pages a night, which is all I'm really able to do while I'm on deadline. I'm almost at the end, though, and I'm preparing my heart for what's feeling like a devastating conclusion! The Page 69 Test: This Cruel Design.